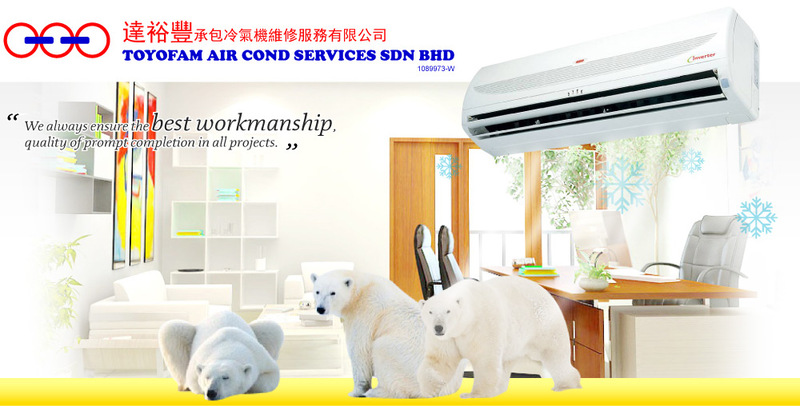 Toyofam Air Cond Services Sdn Bhd is corporated in year 1998, is an established Malaysian company in Air condition system and electrical wiring .The company is backed by a strong corporate force armed with a wealth of resources and combined expertise. 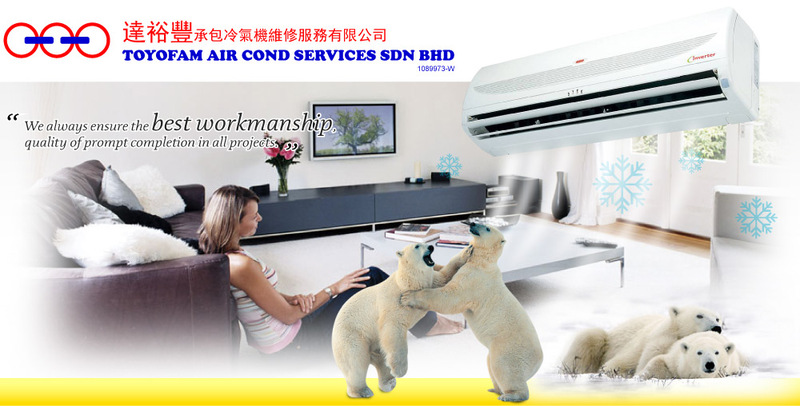 Whether you're a factory, office buildings, shops, banks, associations, hospitals, colleges, restaurants, lounges, hotels, holiday flats or homes, we can provide you with a range of professional air-conditioning services. 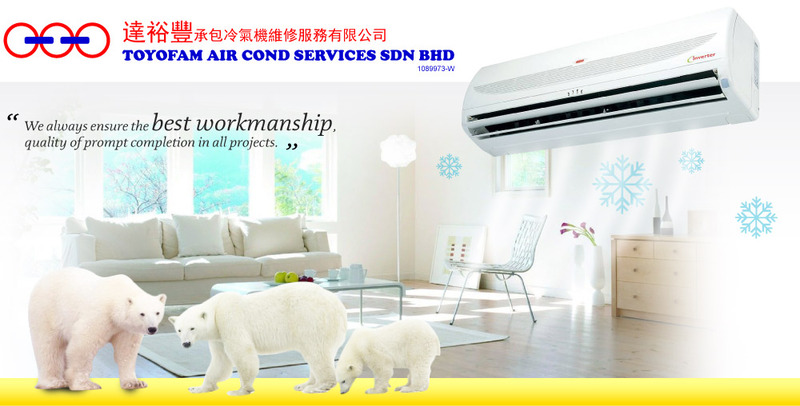 In future years ahead, we hope to expand our service teams by recruiting and grooming more service personnel to better serve our clients.